Every football player faces doubt at some point in their life. It’s inevitable. But the doubt doesn’t define you. What you do with it does. Enter the Destroy Doubt Tour. 6 states. 1 tour bus. 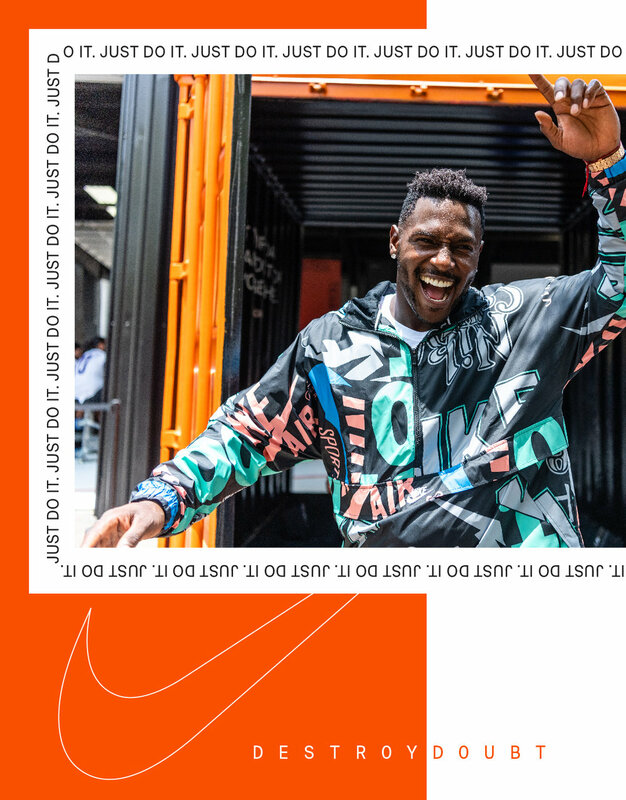 Endless content featuring Antonio Brown turning doubts into dreams. Each tour stop was documented in a Medium blog written using quotes directly from high school athletes. We also embedded a Google Map showing the location of the tour bus, previous stops, and extra content from AB. The map was updated daily for the course of the five week tour. The entire tour was a content opportunity for owned and partner channels. Planned stops were chronicled on @usnikefootball’s Medium blog, Google Maps, Instagram Stories, and Twitter. We also put together content for friends and family of the event like Tarik Cohen, Player’s Tribune and ET The Hip Hop Preacher.